Over the past two years, the sound pushed forward by the artists making up the CUZ ME PAIN label – a style mixing dance music with dreamy atmospherics – has become quite influential in Tokyo. Traces of that collective’s style can be heard in the songs of similarly Western-blog-approved outfits such as Sapphire Slows and LLLL, while the reception CUZ ME PAIN artists like Jesse Ruins received overseas seemingly invigorated the city’s indie scene. Fukuoka’s Dead Funny Records mentions CUZ ME PAIN in the bio for their act Fancy Books, a Saitama duo whose debut EP Wisteria came out on the imprint earlier this summer. It’s a comparison that makes sense when listening to tracks like opener “Twilight Memory” or “Ermine,” both of them numbers constructed out of bright synth swirls and simple beats. 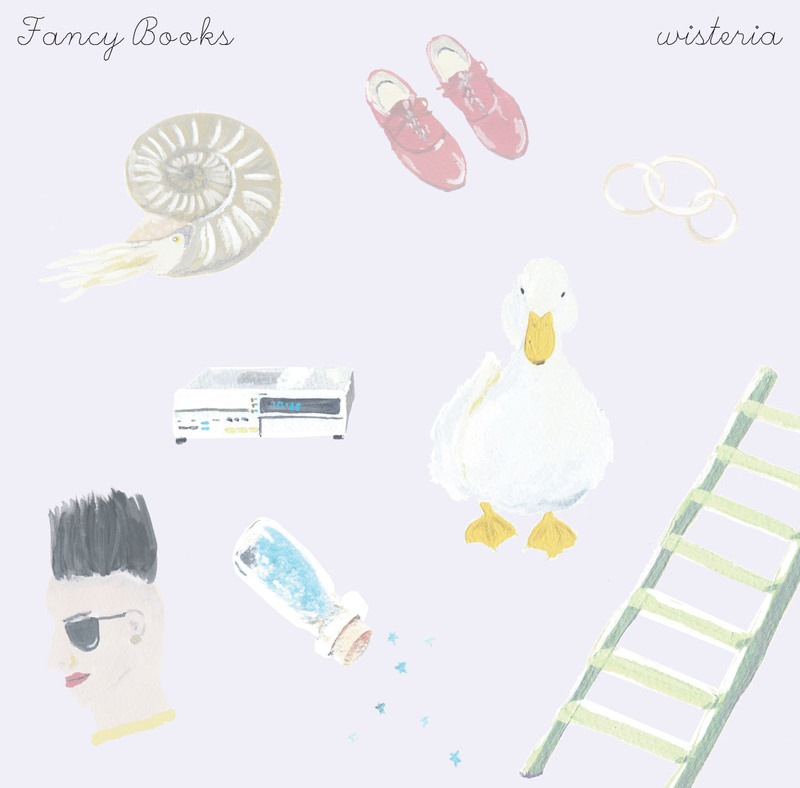 However, what makes Fancy Books jump out as different – as a divergent branch from the CUZ ME PAIN sound – are the instances on Wisteria where the duo add cheery, pop-friendly vocals to the mix. Highlight “Sister Carry Stars” could have gotten by just on the woozy electronics and grooving bass, but this features singing from the female half of the group, and her voice adds a splash of warmth to the proceedings. Even the most pop-friendly CUZ ME PAIN group, Jesse Ruins, obstructs the vocals in some way to add mystery. Fancy Books push them to the front on the bouncy “Sponge Boy,” the sunniest cut here. This is the ideal result of CUZ ME PAIN’s influence in the area’s scene – bands who are inspired by them but then push the style in new directions. Listen below or buy here.